In this section we can add a new city or manage the cities in a country > state. 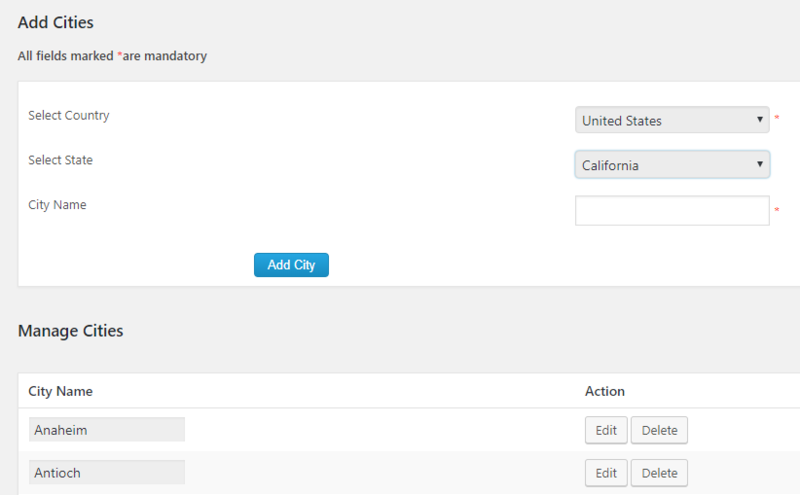 To add or manage cities, first select the country and state. Then we can see all the cities in the selected state. Click the edit or delete button to do the corresponding action.